Bounty for Early Birds at the FTKA ICO! The FTKA ICO is about to begin, and here is some good news! 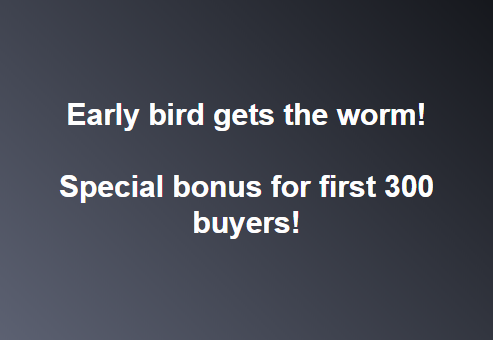 The first 300 buyers who purchase over 5000 FTKAs will get a special bonus over and above the regular ICO bonus! 300,000 FTKAs will be distributed to the first 300 eligible buyers. So that’s 1000FTKAs per buyer! aka “K-brain” extensive background in Information and technology, Project Management, and Real Estate Sales.